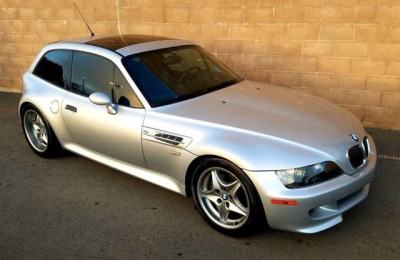 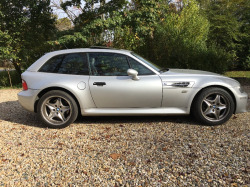 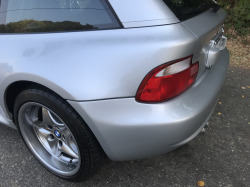 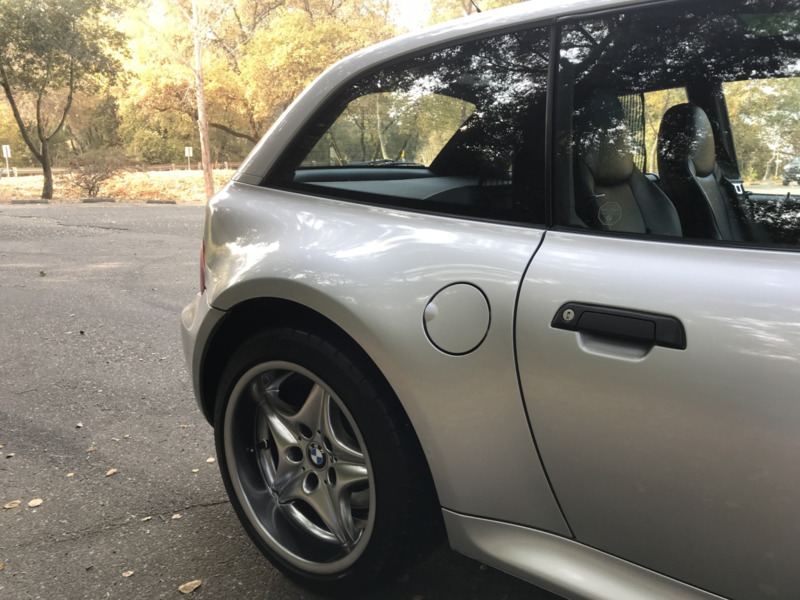 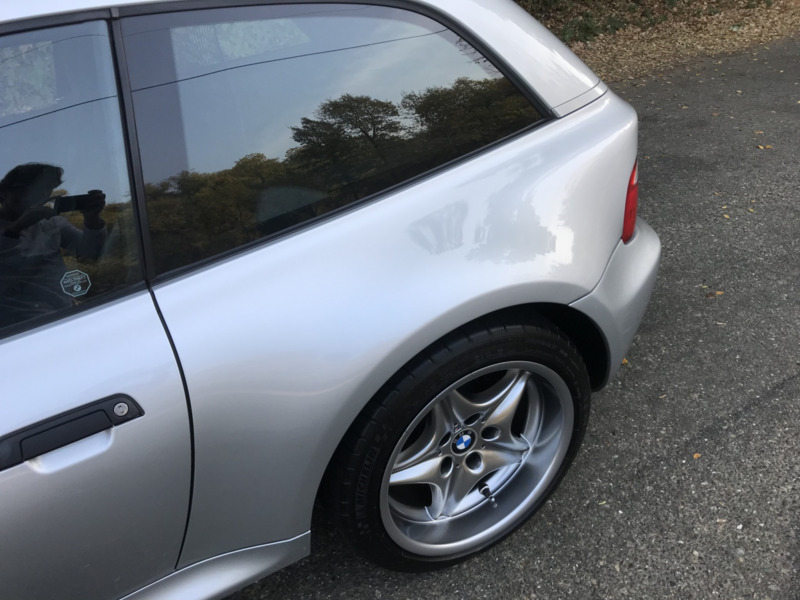 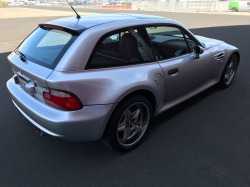 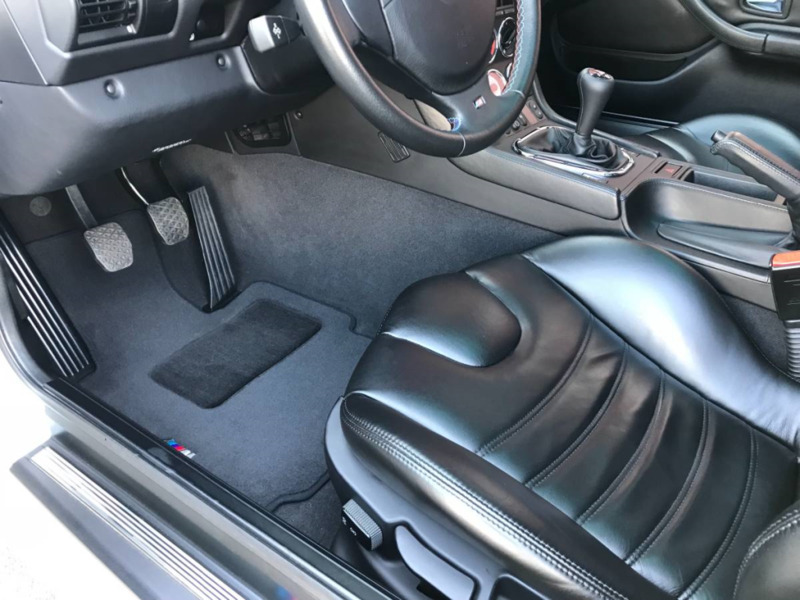 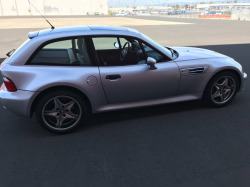 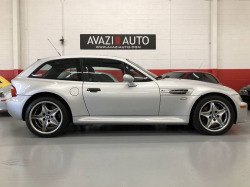 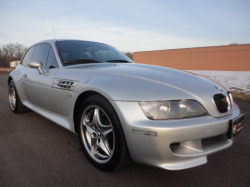 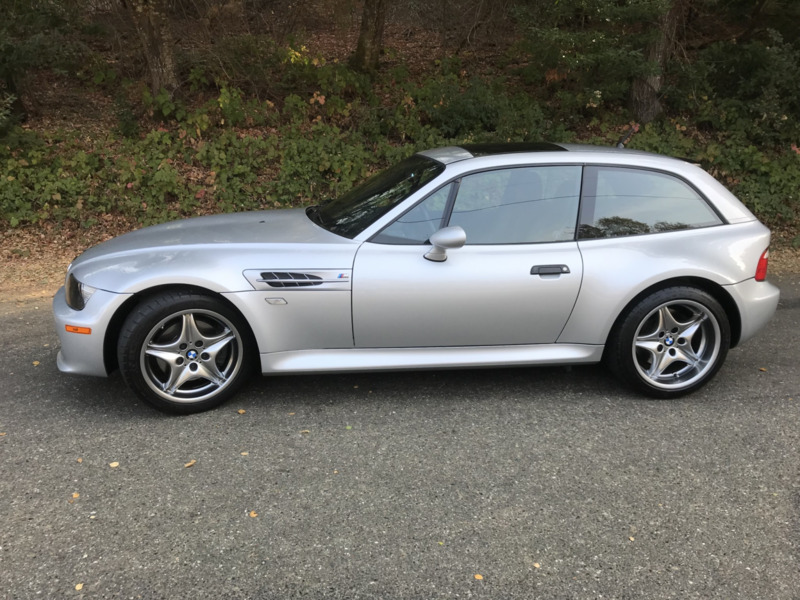 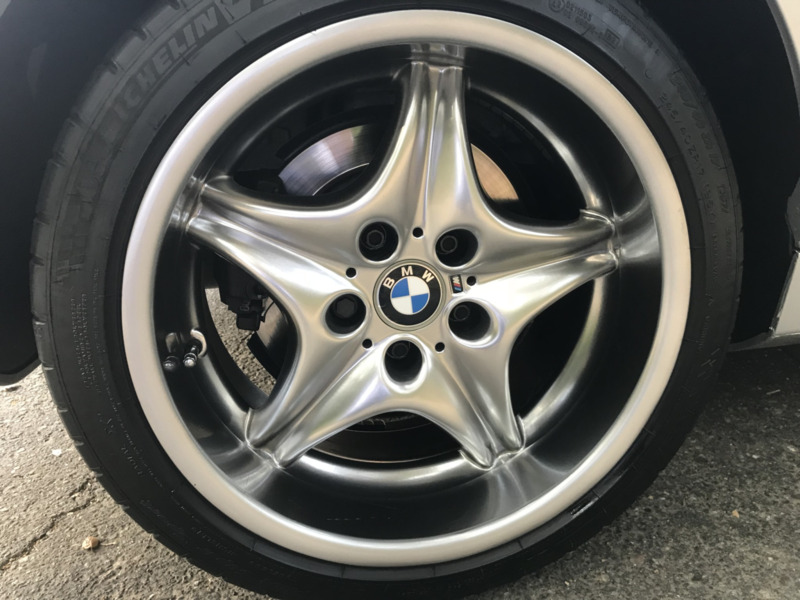 This 2001 BMW M Coupe is finished in Titanium Silver Metallic over a black leather interior and shows just 39k miles. 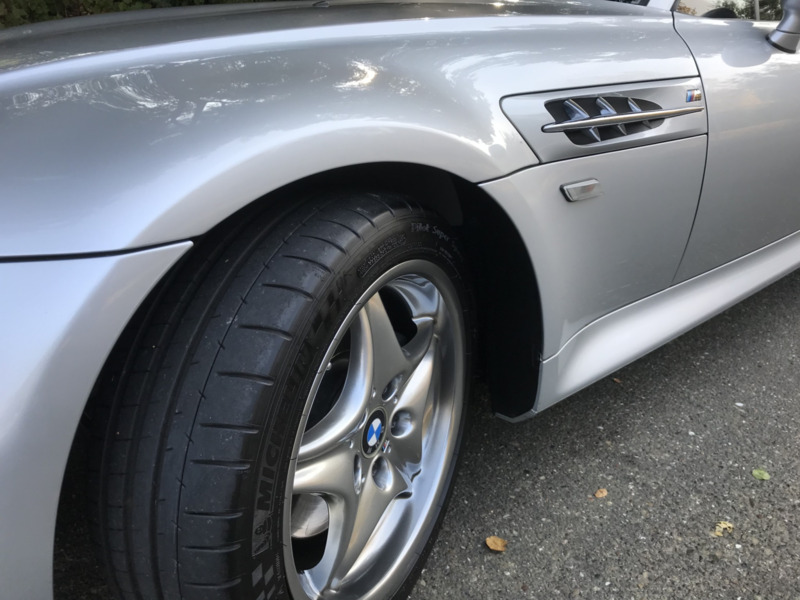 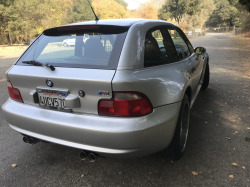 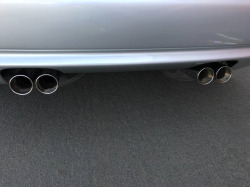 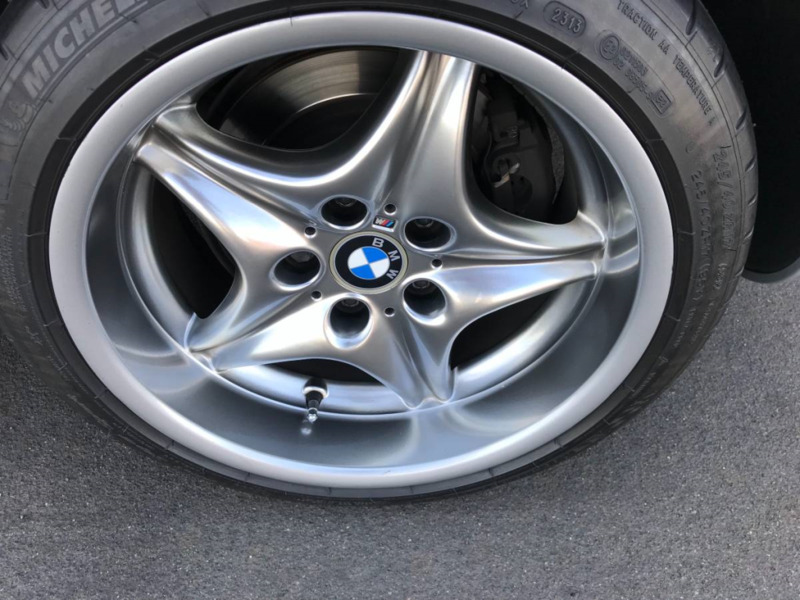 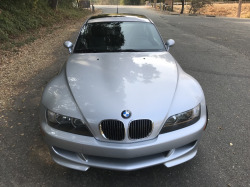 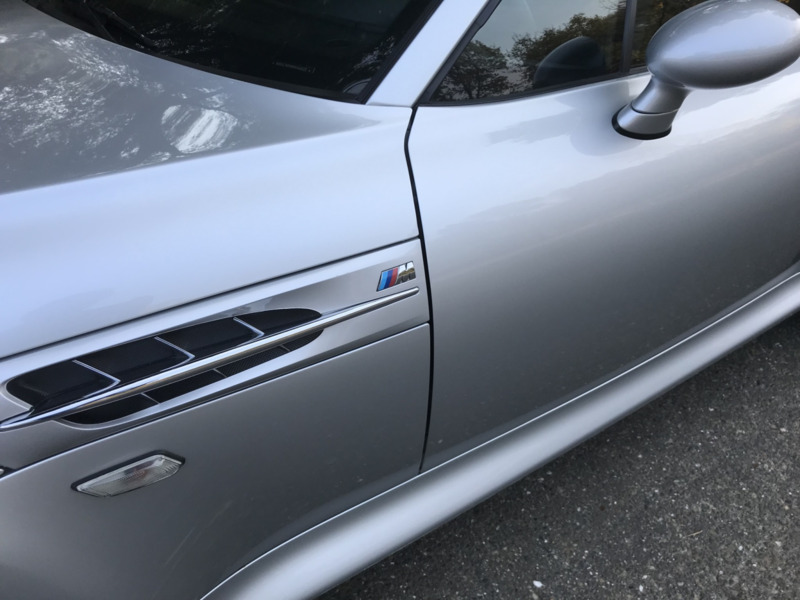 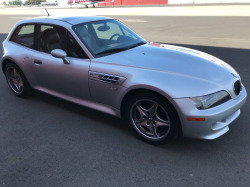 Sold new at East Bay BMW in Pleasanton, the car has been registered solely in California for the past 17 years and was purchased by the seller from the original owner in 2013. 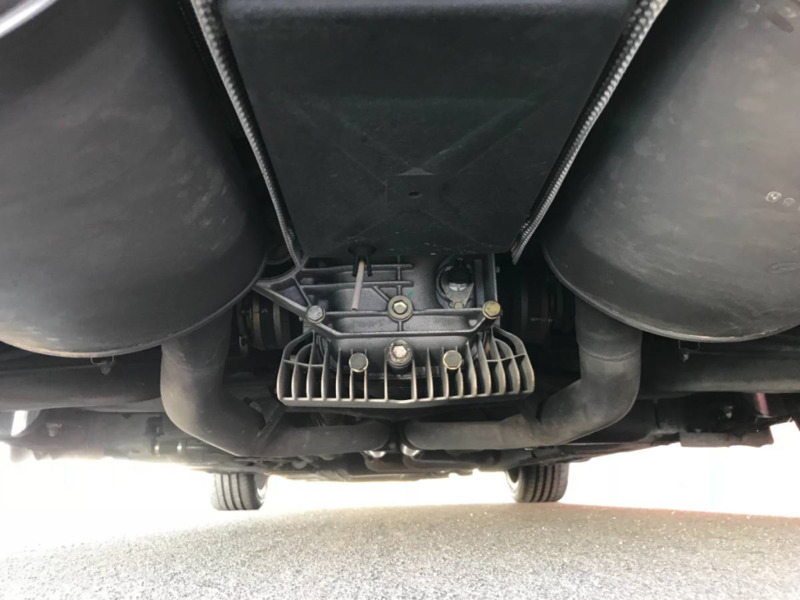 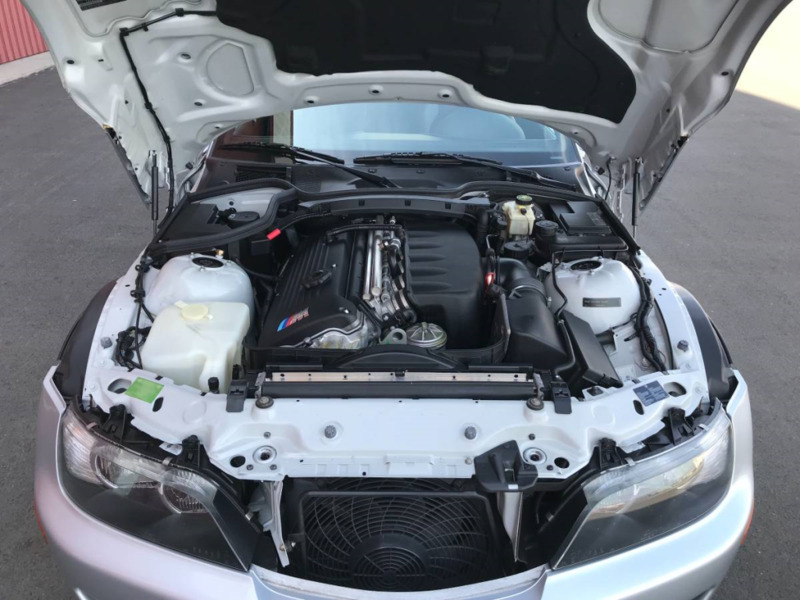 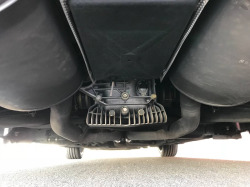 Power is provided by a 3.2-liter S54 inline-six mated to a 5-speed manual gearbox, and just 65 miles have been added since the last service in 2017. 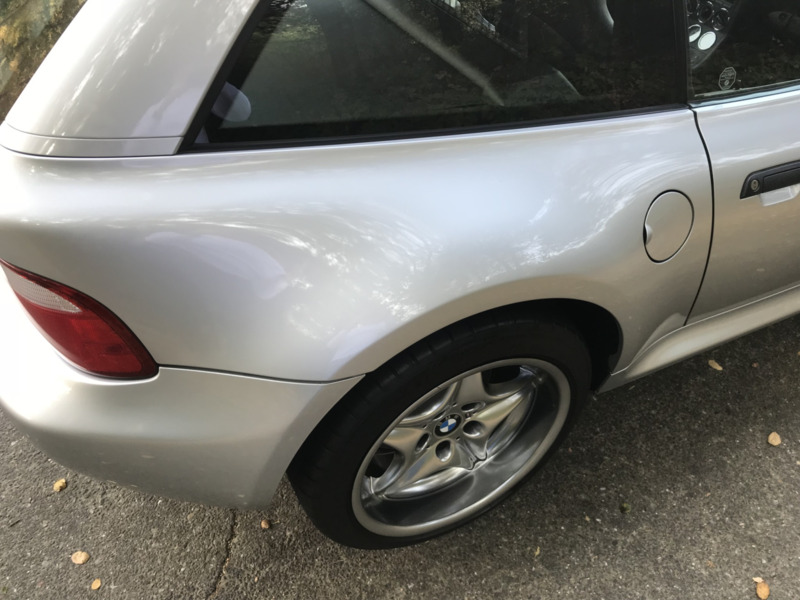 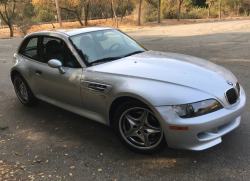 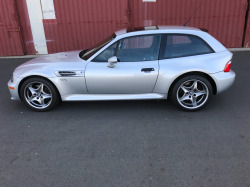 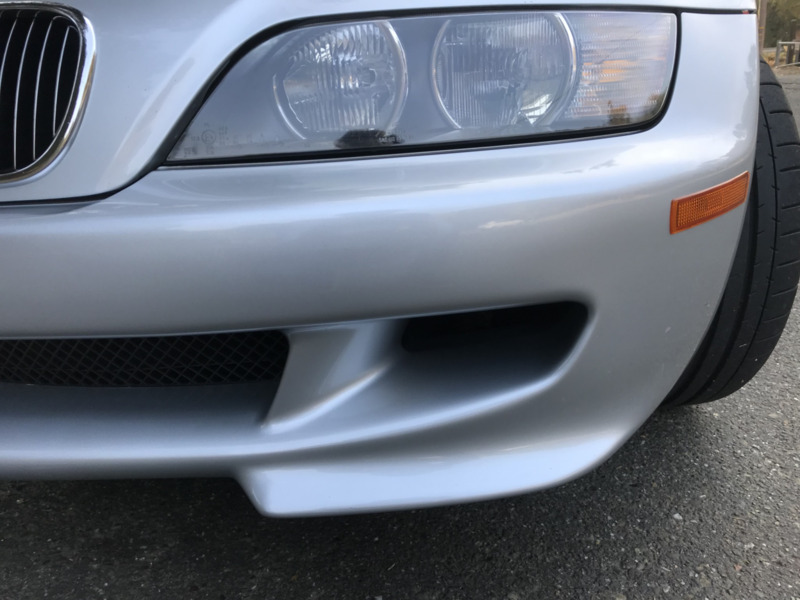 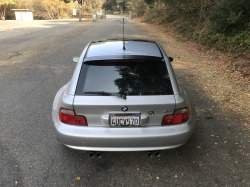 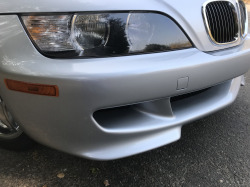 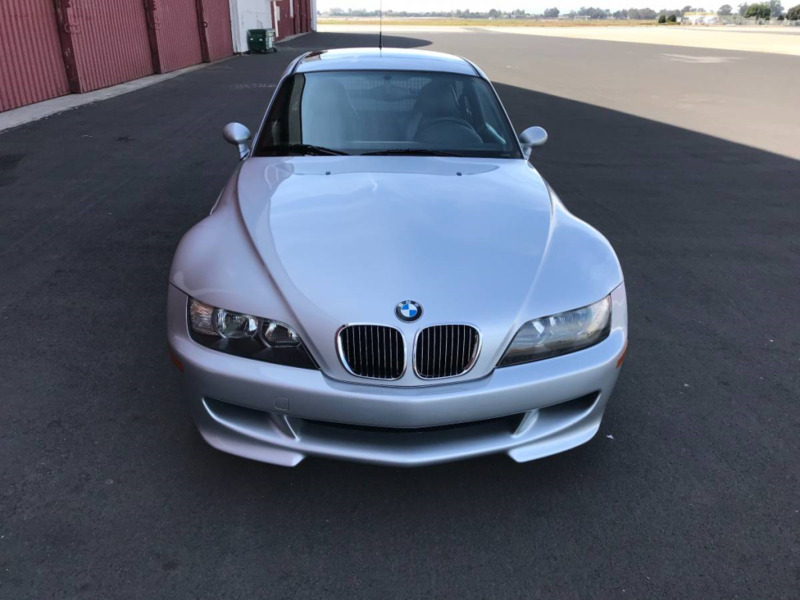 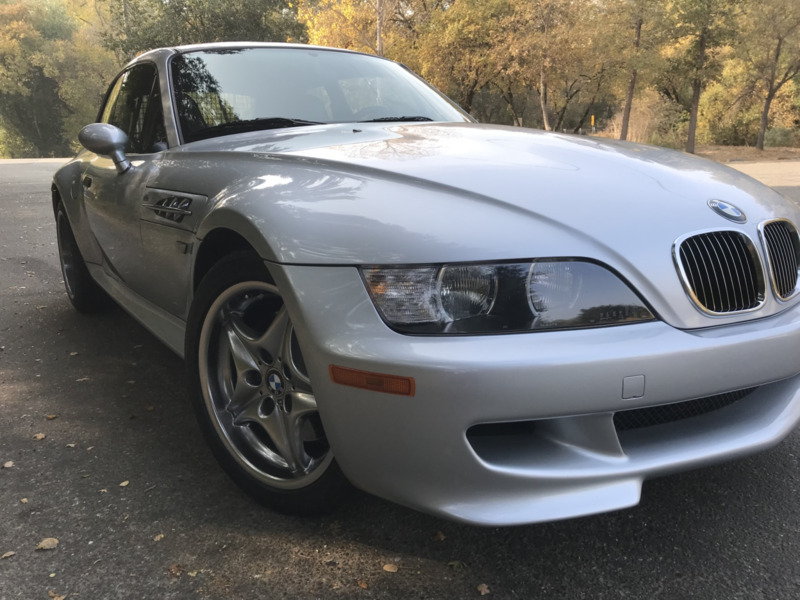 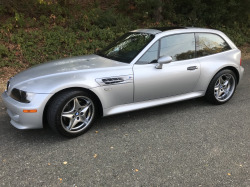 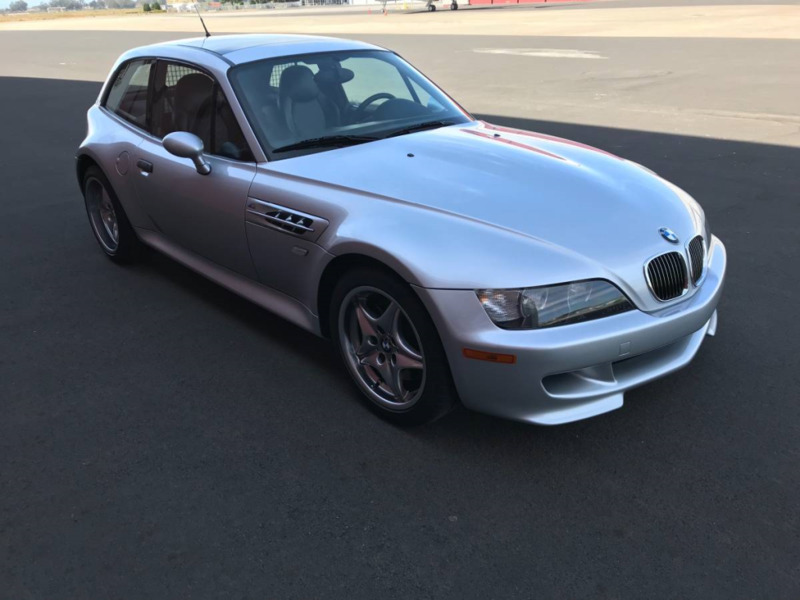 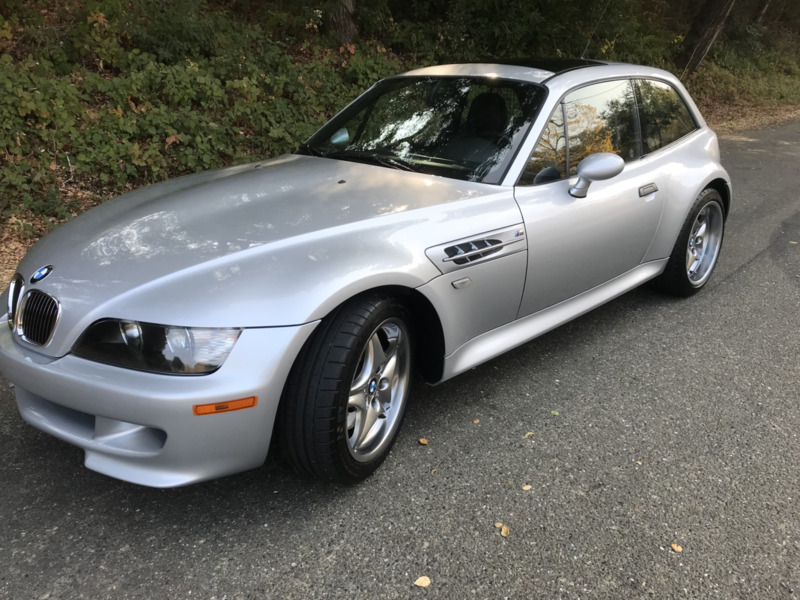 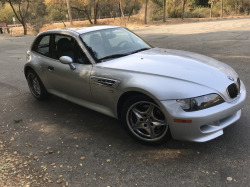 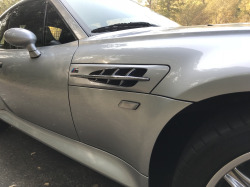 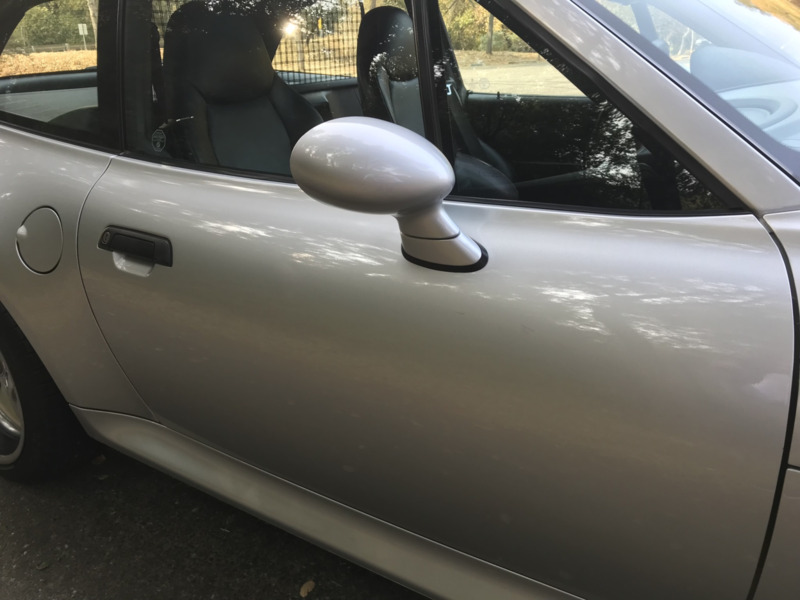 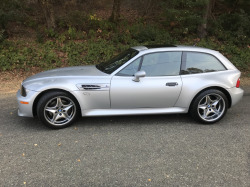 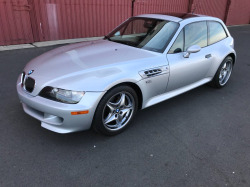 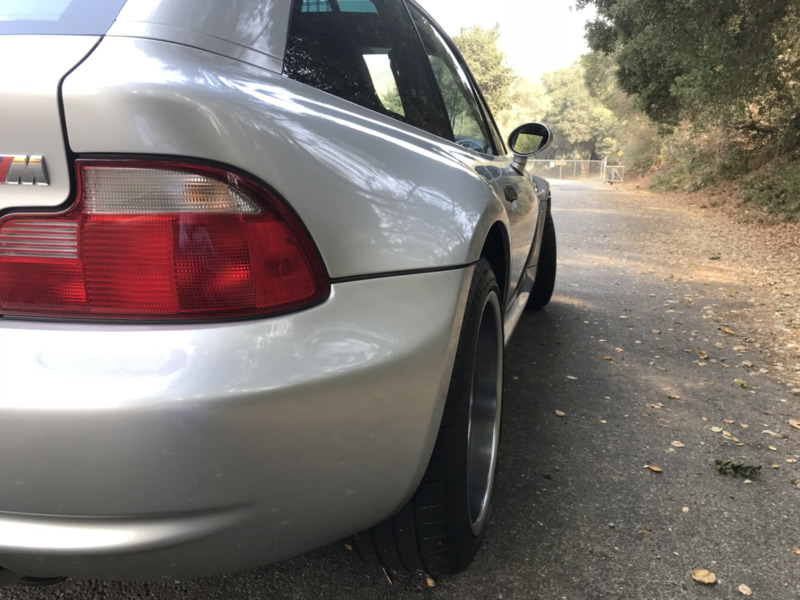 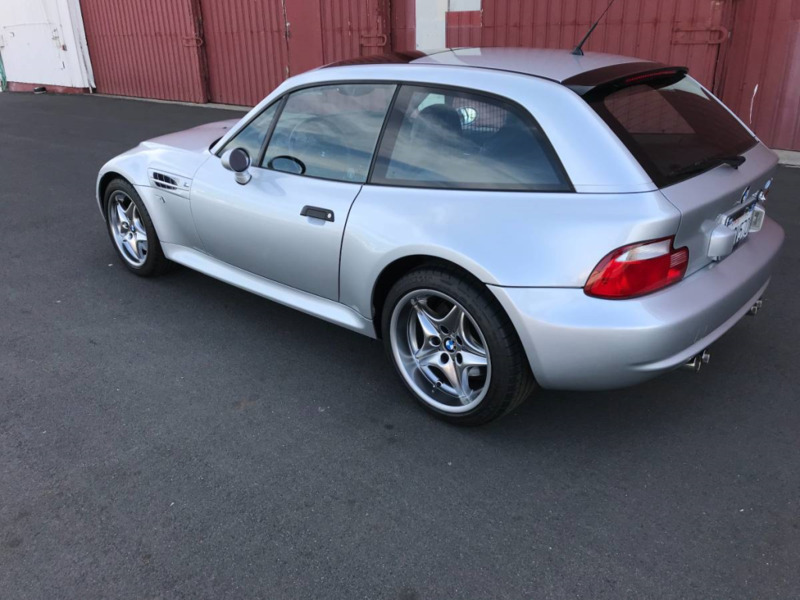 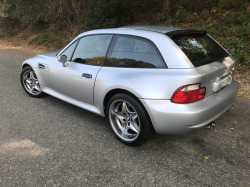 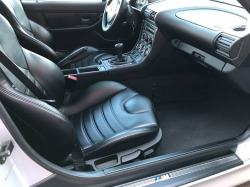 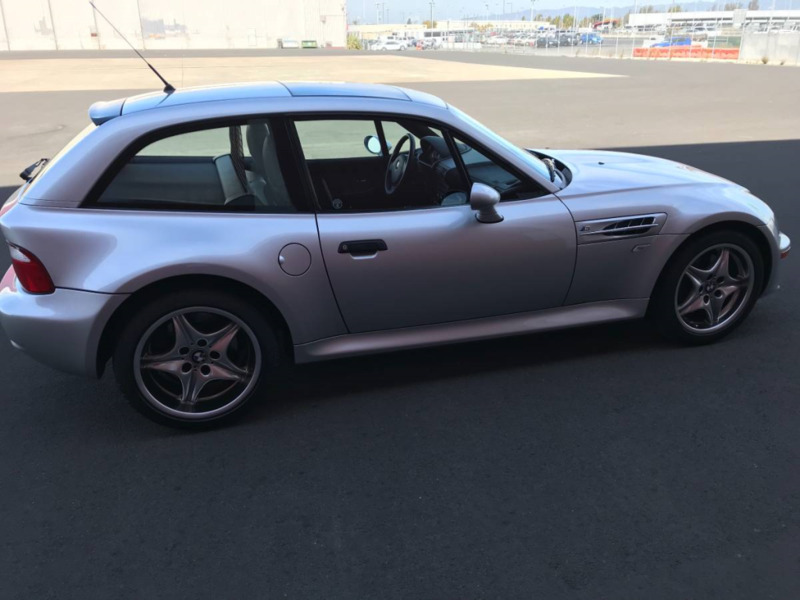 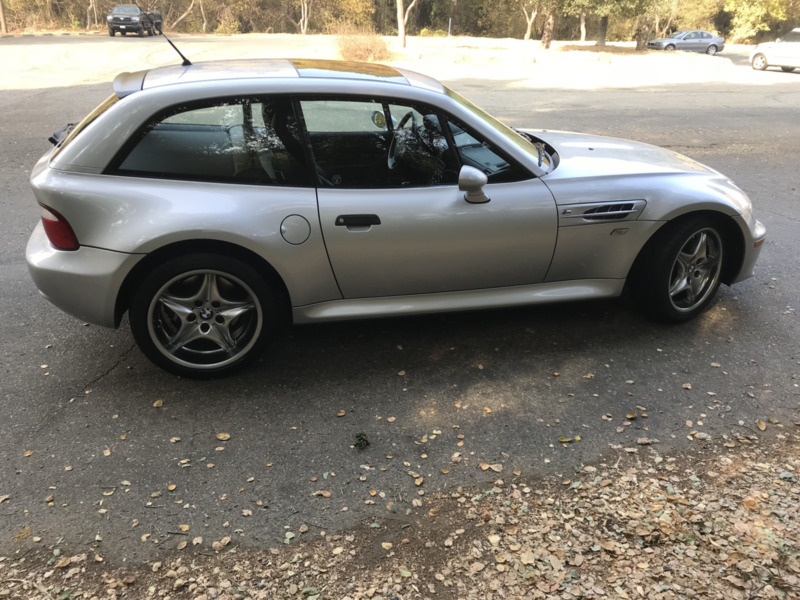 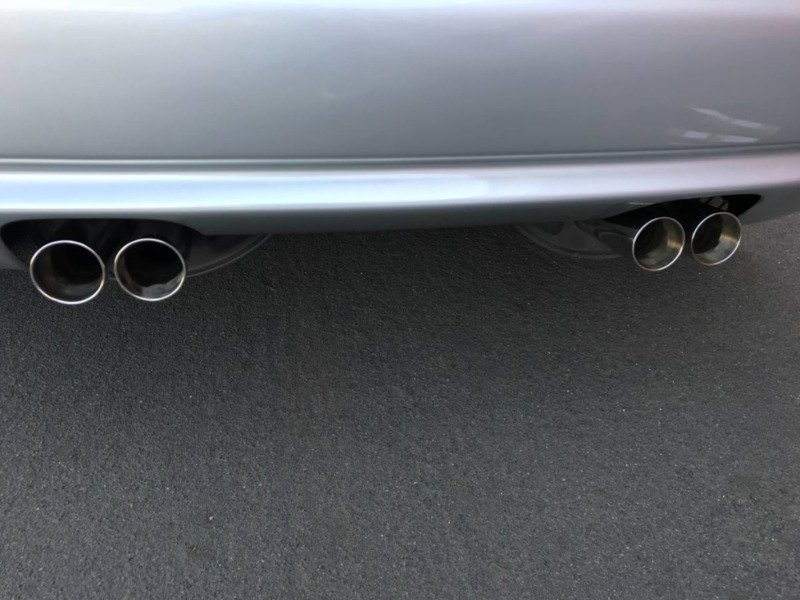 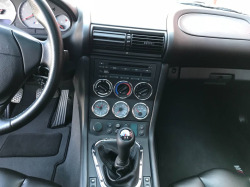 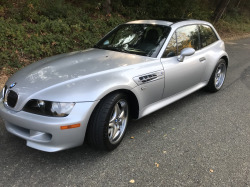 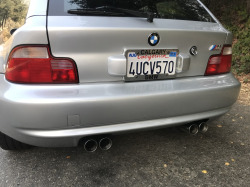 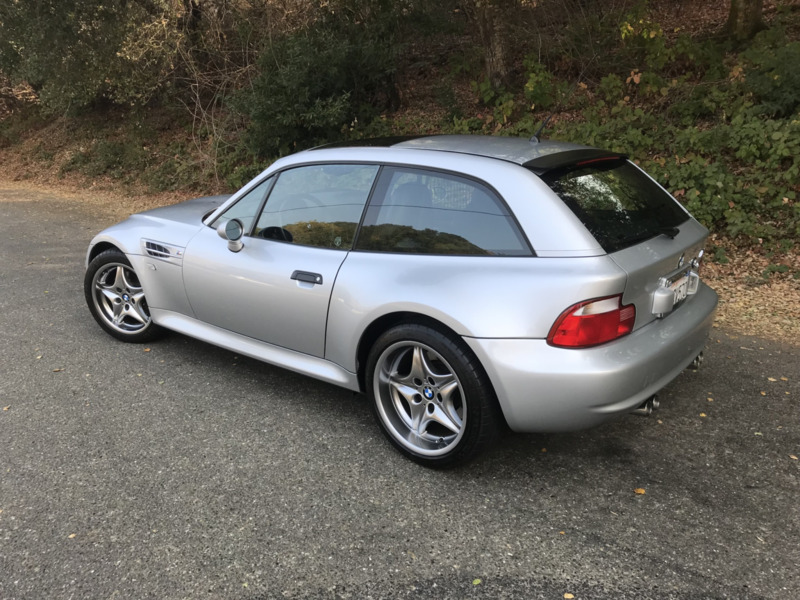 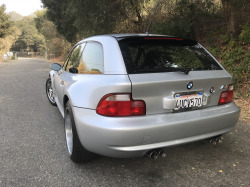 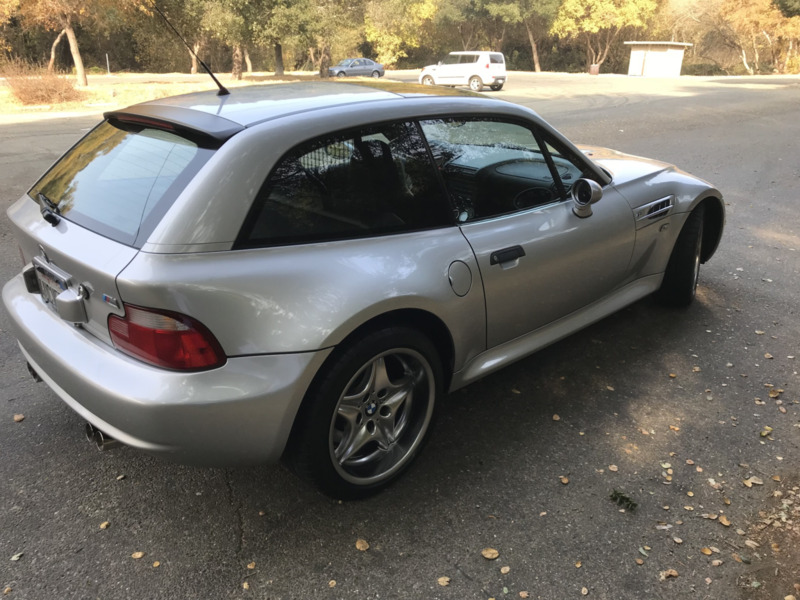 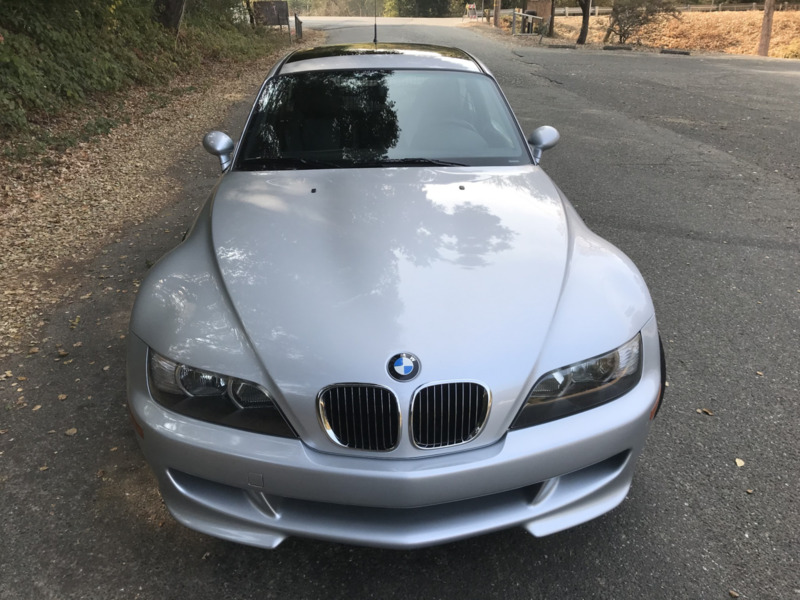 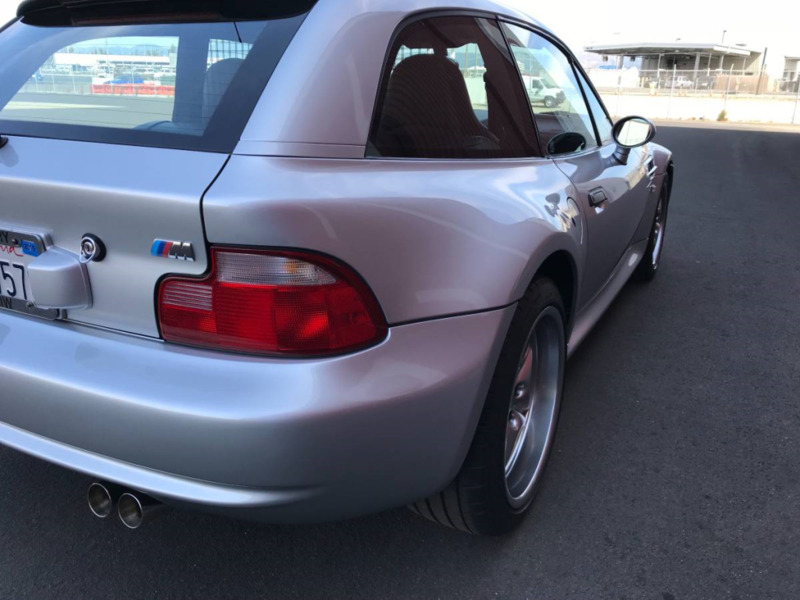 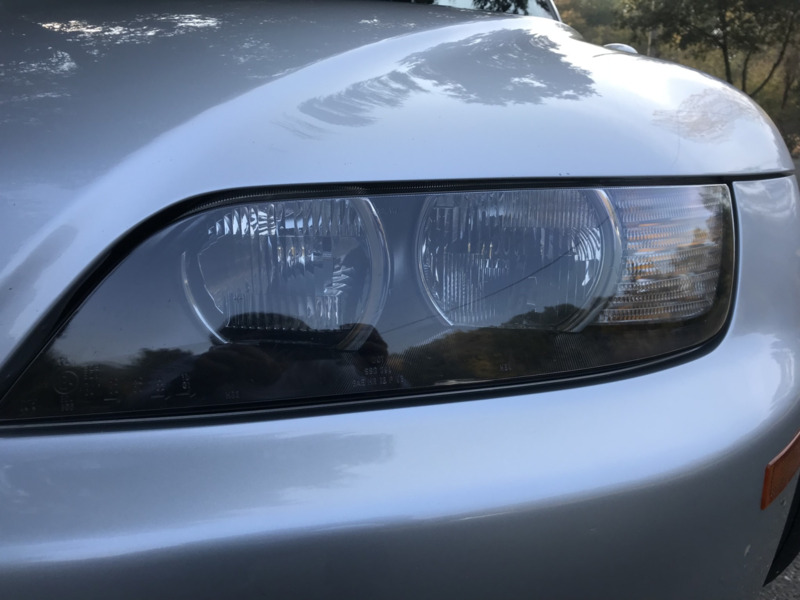 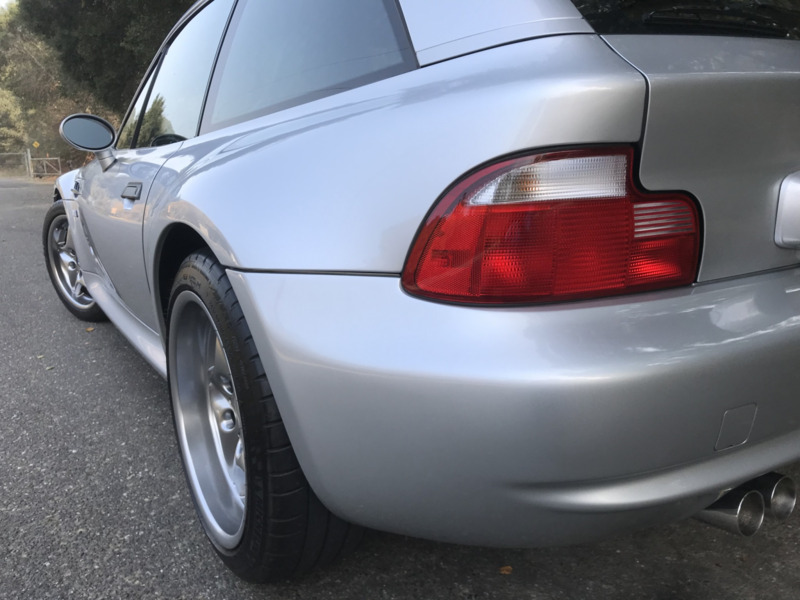 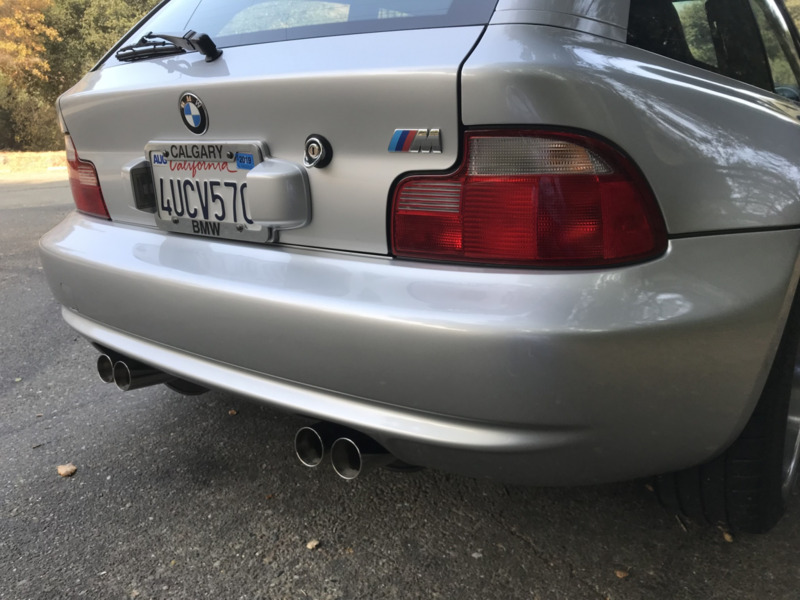 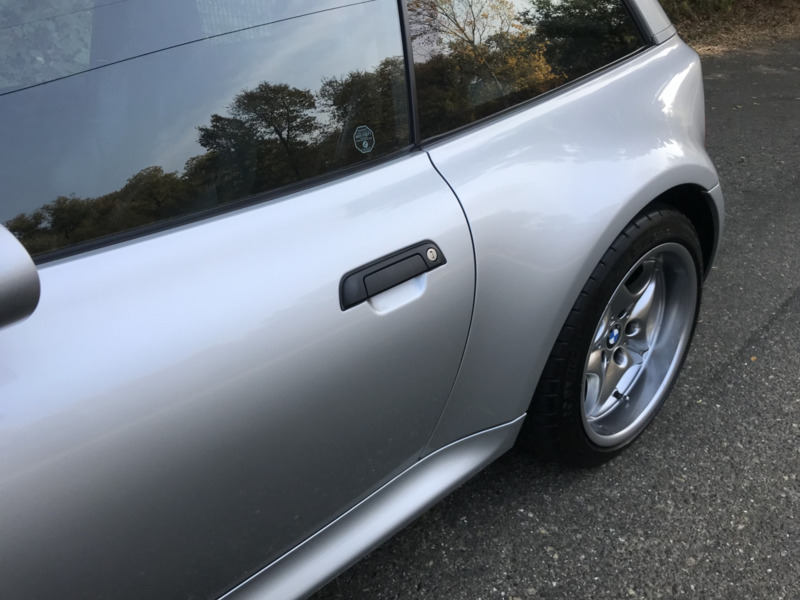 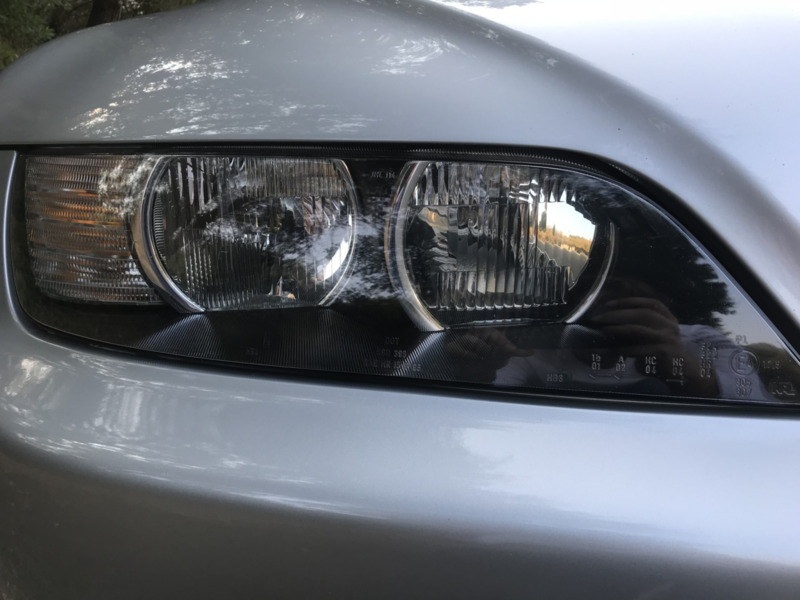 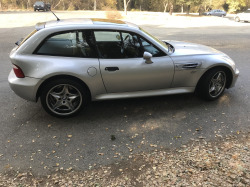 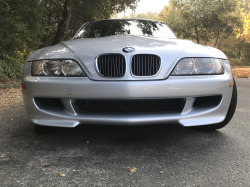 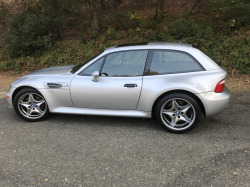 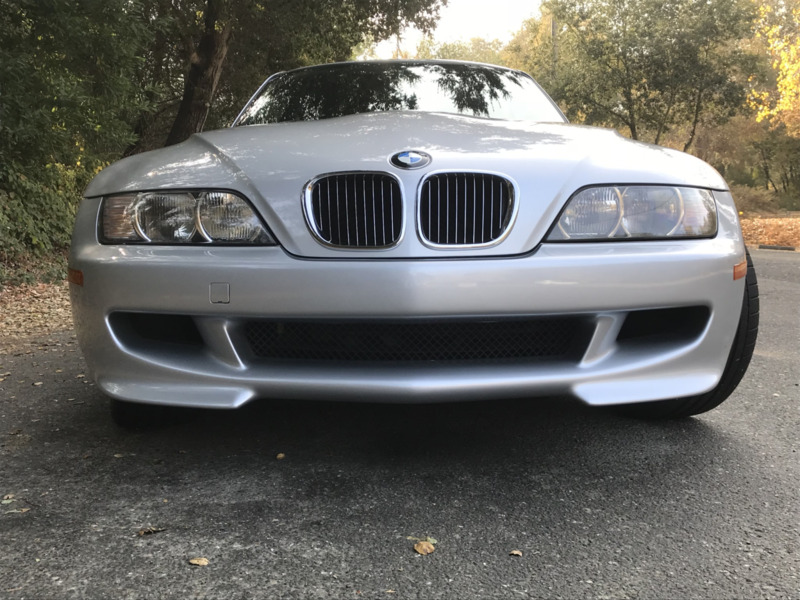 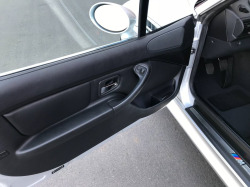 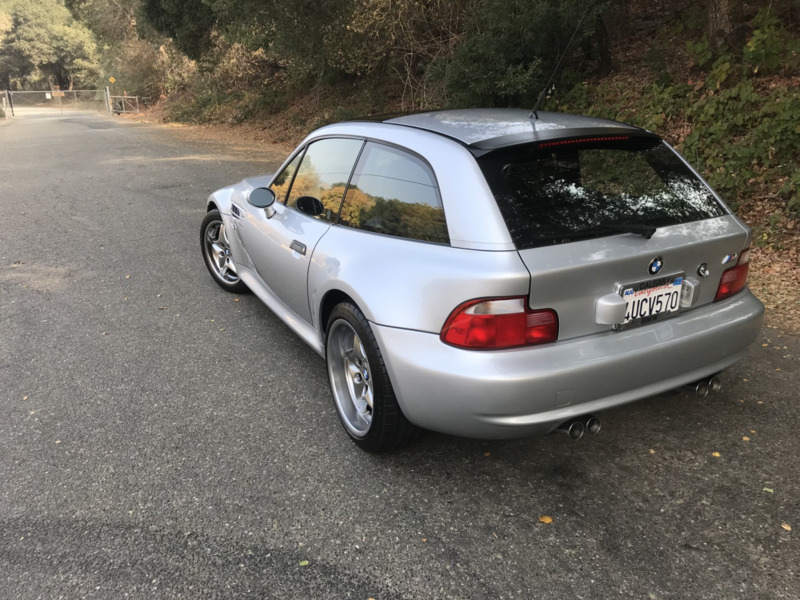 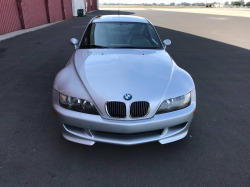 This M Coupe is now being offered with the original window sticker, factory manuals and keys, service records, a clean Carfax report, and a clear California title in the seller’s name. 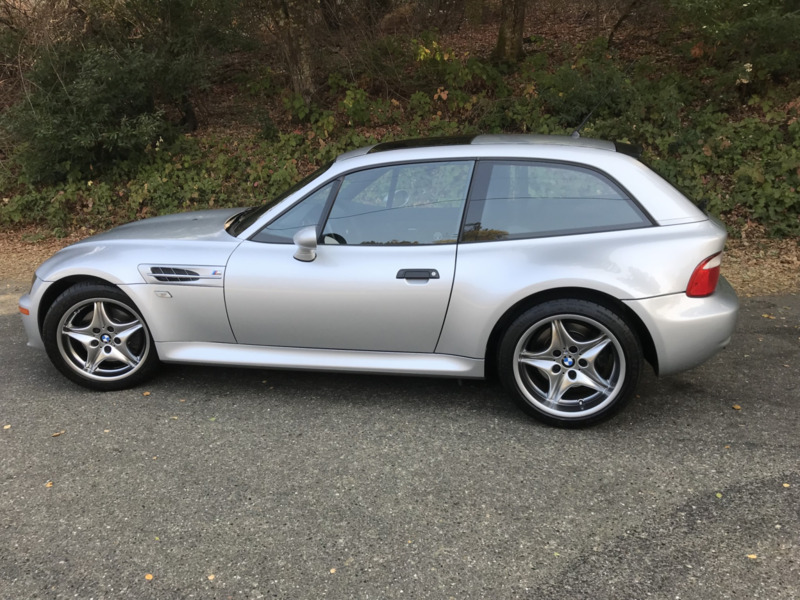 This M Coupe is one of 338 produced for the model year, 132 of which were finished in Titanium Silver Metallic over black. 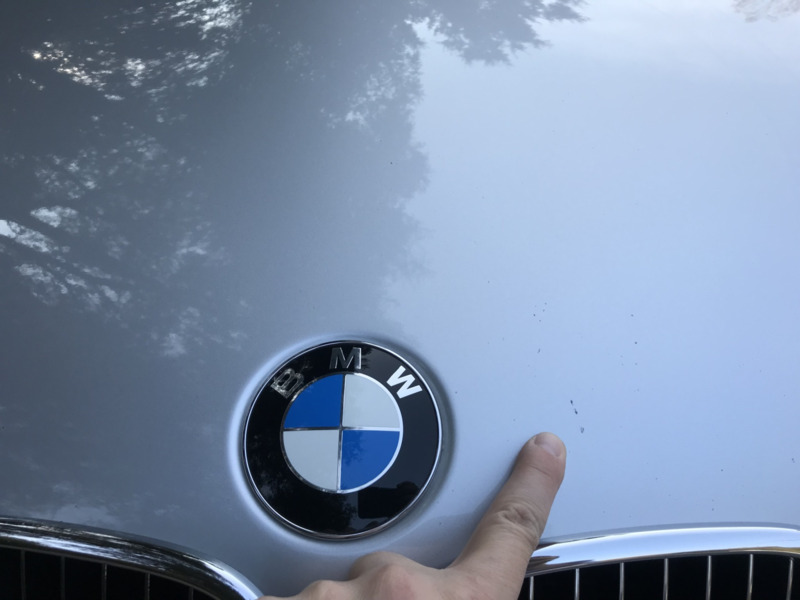 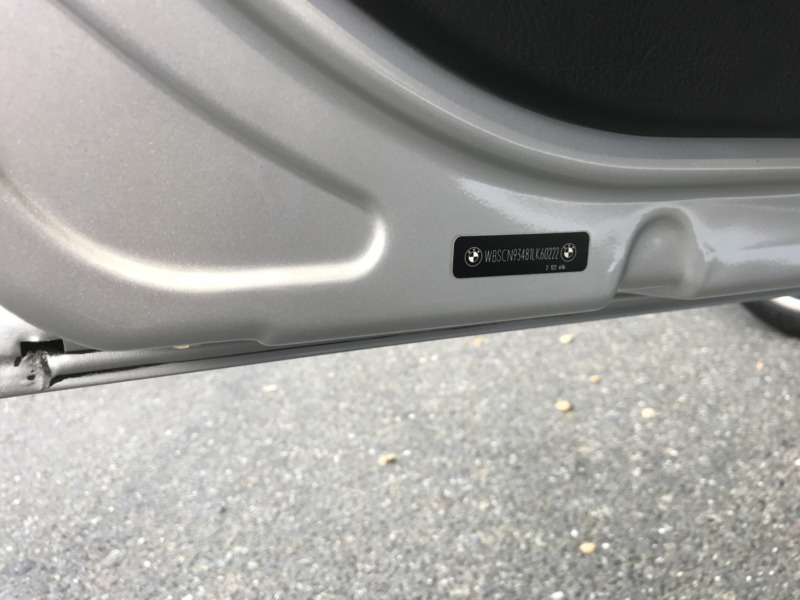 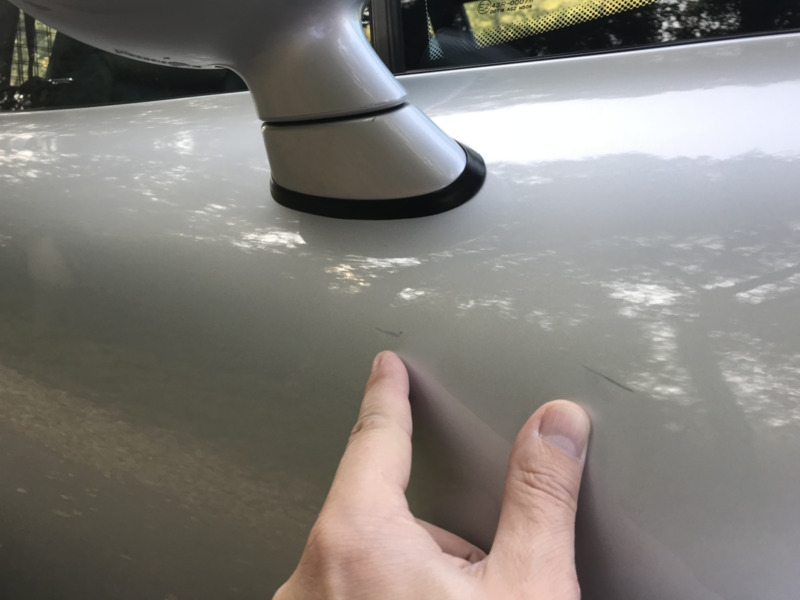 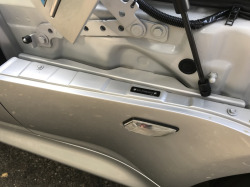 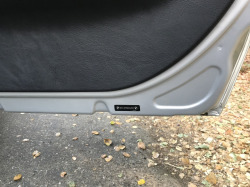 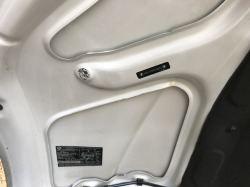 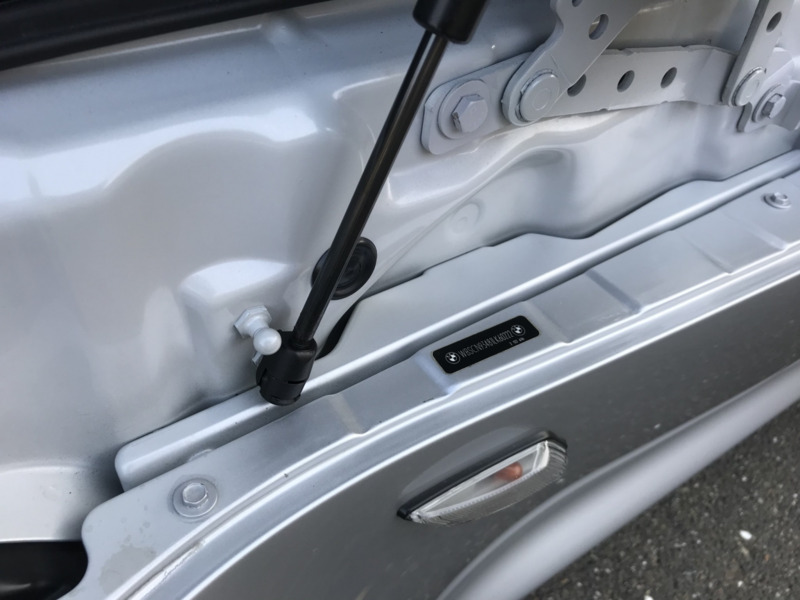 The recent Carfax report shows no history of accidents or other damage, and a number of matching body panel VIN tags cam be seen in the gallery below. 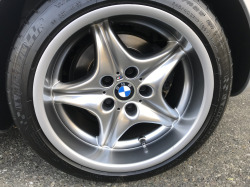 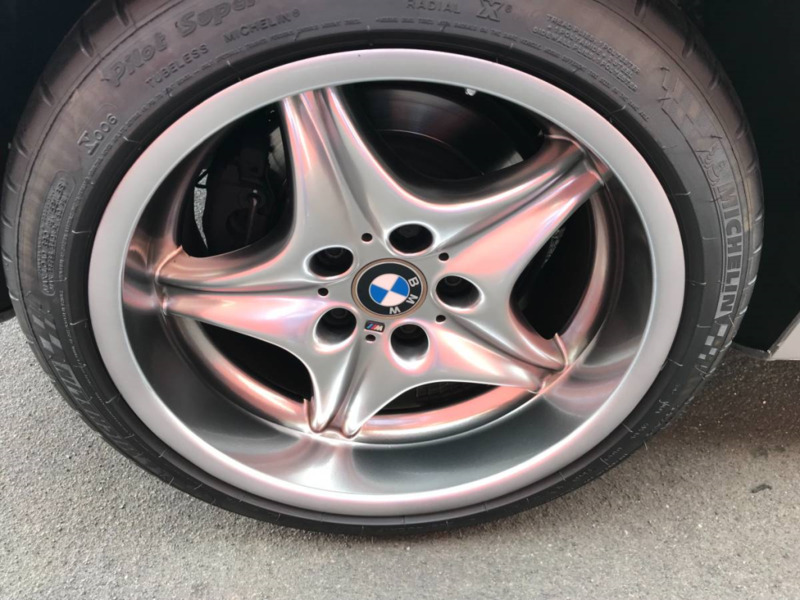 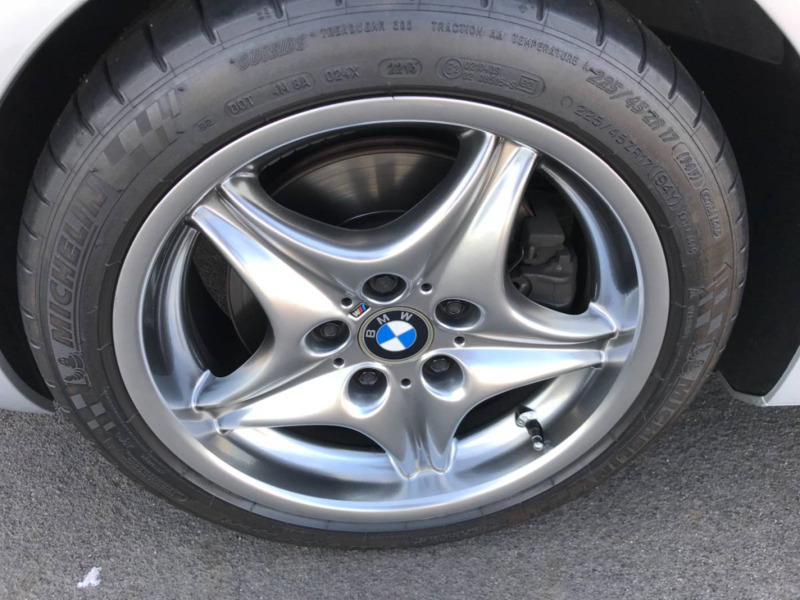 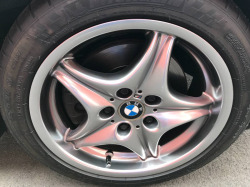 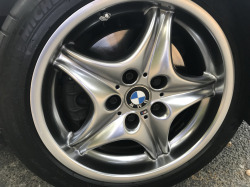 Staggered-width 17″ Style 40 alloys were finished in a satin chrome from the factory. 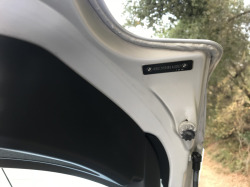 A walk-around video is shown above. The interior is trimmed in black Nappa leather (Q6SW), with leather accents on the doors and console. A 6-disc CD changer and Harman Kardon audio system came equipped from the factory. 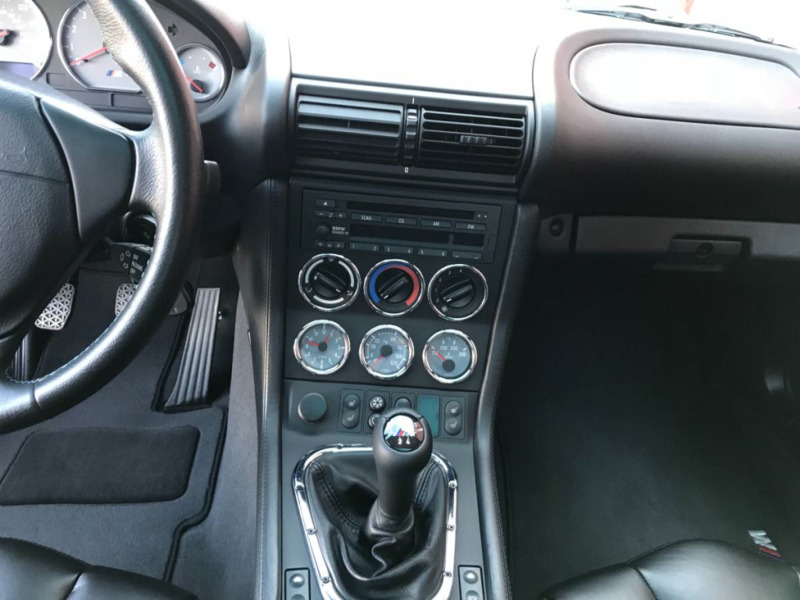 39k miles shown are shown on the odometer, about 1,500 of which were added by the seller over the last five years. 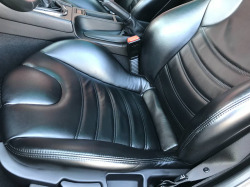 The heated and power-adjustable seats are shown close-up in the gallery below. 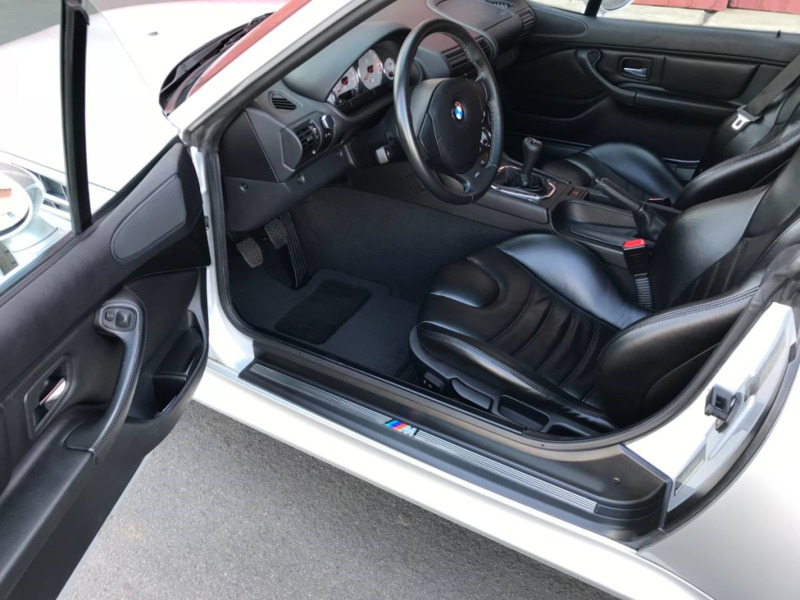 A walk-around of the interior can be viewed here. 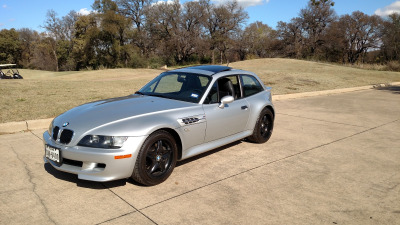 The 3.2-liter S54 inline-six is paired with a ZF 5-speed manual gearbox and described by the seller as unmodified. Less than 65 miles have been driven since the last service, which occurred in September 2017. 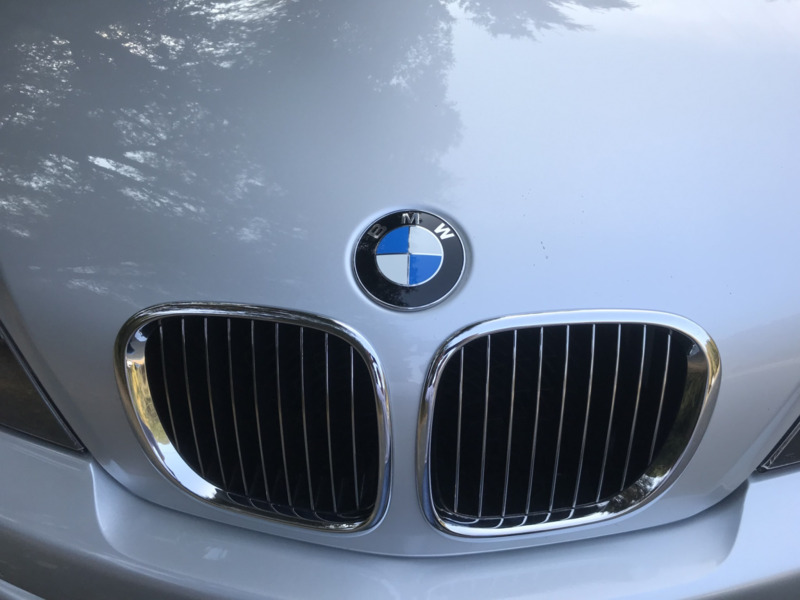 Work included an oil change and brake fluid flush. Videos of a start-up and the engine idling have been provided. 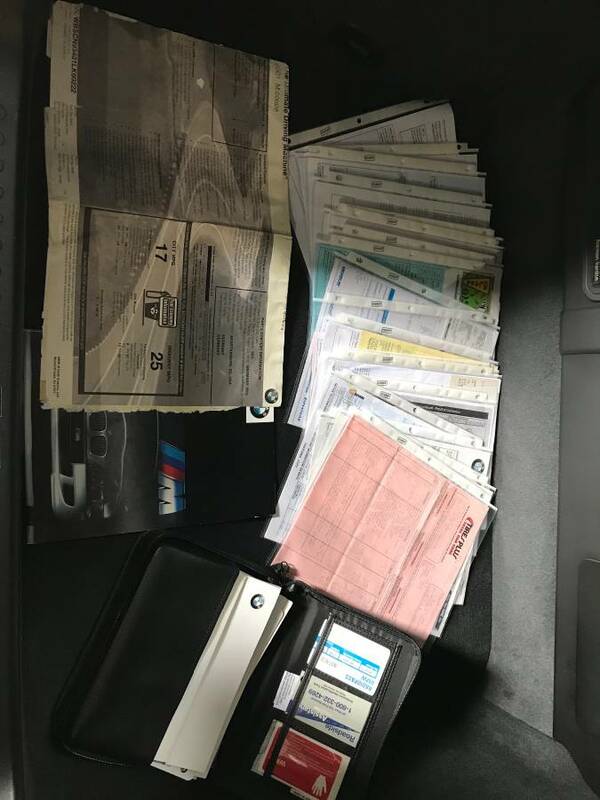 Service records dating back to new accompany the sale, along with the glove compartment books, original window sticker, and two factory keys and key fobs. The included Carfax shows that the car was sold new in California remained with the first owner until 2013, when the seller acquired it. 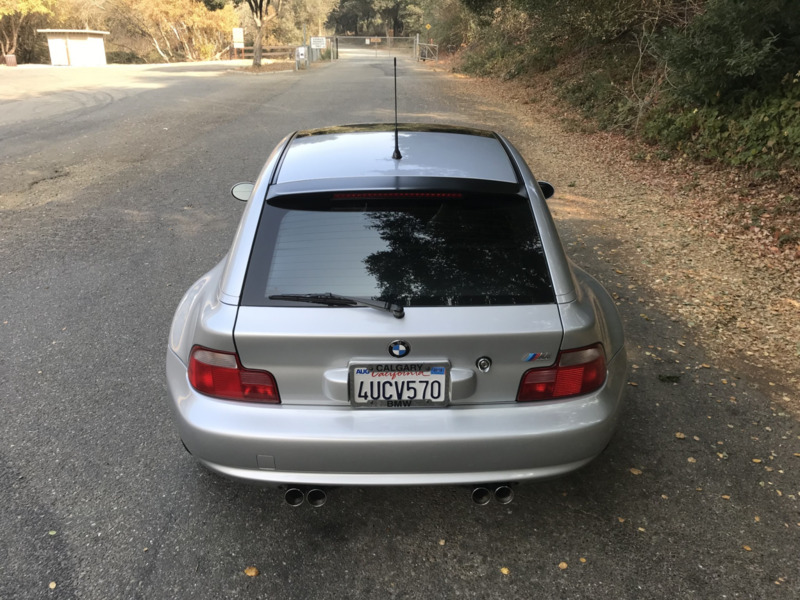 Now on Bring a Trailer. 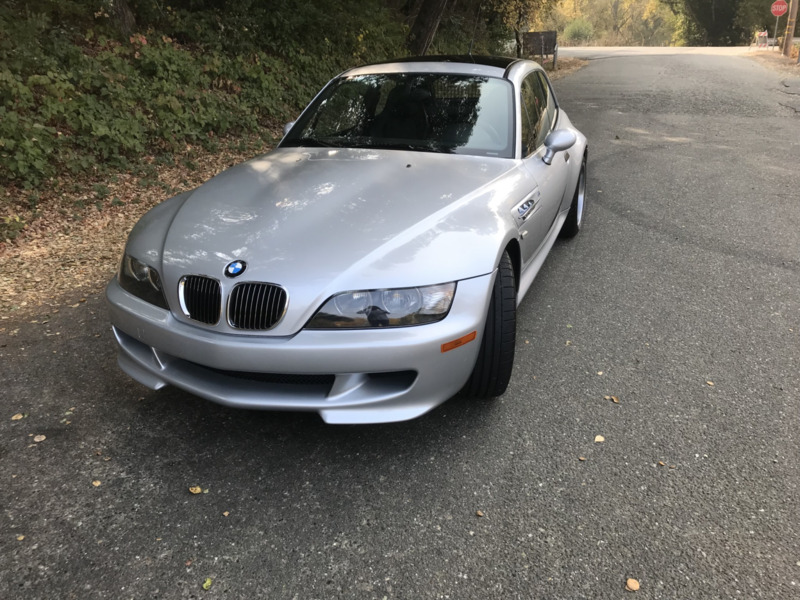 No bidders yet. Looks super clean and pretty low mileage. It has a good two-owner history. 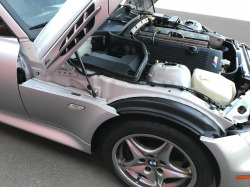 The price is ok all things considered.